MPO Loopback Connector is designed for testing of MPO parallel links and for device burn-in. By creating a loop of signal from transmitter to receiver within one MPO plug, it forms optical link which allows testing of optical network segment by segment. 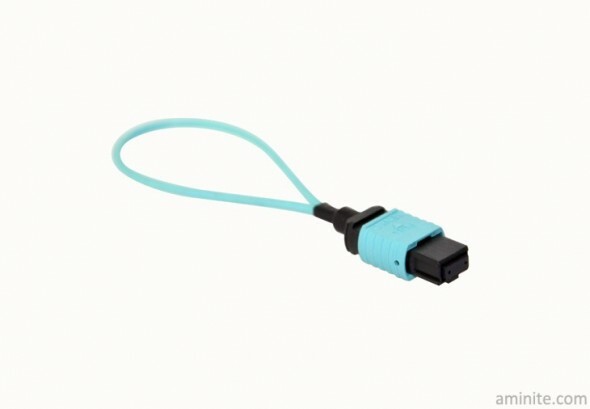 Aminite offers a line of MPO Loopback Fiber Optic Connector for burn-in and testing of MPO network components and systems. These MPO Loopback connector are used to effectively test transmitter capability and receiver sensitivity, particularly for telecom and datacom requirements.